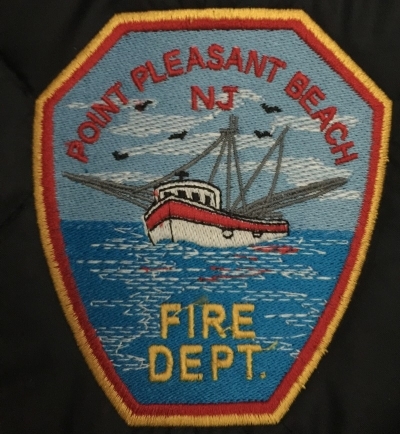 Welcome to the Official Website for Point Pleasant Beach Fire Company #2! Are you interested in becoming a firefighter and serving your community? Take a moment to review our membership application process. The dedicated volunteers of Point Pleasant Beach Fire Company No. 2 have served the residents and visitors of Point Pleasant Beach since 1907. Today, alongside with the members of Ocean Fire Company #1, our members answer the call to protect the residents of “The Beach” 24 hours a day, 7 days a week. Last year the Company responded to over 260 calls for service. These calls included the aiding of individuals injured or trapped in motor vehicle crashes, detecting and mitigating situations of high levels of toxic gases in our neighbors’ homes, and working to protect people and property from devastating fires. We also work to promote fire safety education. Every year our members visit the schools in our community to discuss the importance of fire safety and fire prevention. Our members are constantly training to better serve the people of Point Pleasant Beach. This training including monthly drills, including staged motor vehicle crashes, firefighter 'mayday' situations, and exercises with actual 'live' fire. Many of our members have also attended nationally recognized training programs on both the East and West Coasts. Deputy Chief William Wackowski taking the oath of office with his family. 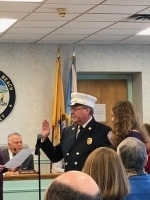 Congratulation Chief Wackowski!!! 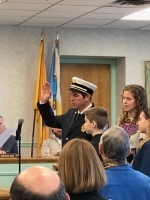 Chief of the Department Robert Gronau taking the oath of office along with his family. Congratulation Chief!!!! This site has been viewed 53,097 times.